Stay informed with the latest news surrounding C&S Propeller, its customers, partners and industry topics. In today’s blog post we’ll cover the difference between the 54H60 propeller system and the Dowty R391 propellers. At C&S we provide MRO services for the 54H60, but we get asked all the time about the differences between these two propeller systems that both power the C-130 aircraft. The C-130 Hercules is one of the most successful aircraft ever built. Known affectionately by the men and women who have served on them as the ‘Herc’, among many other monikers; it has been outstanding at performing its primary mission. Conceptualized and designed for the U.S. Air Force in response to the evident and changing battlefield realities by the Korean War, Lockheed flew the first prototype, designated then as the YC-130, in 1954; the first operational aircraft, then known as the C-130A, were delivered to the USAF in 1956. The Herc was designed to deliver large payloads onto rough landing strips, with a short takeoff and landing distance. It performed its duties admirably and has since been the first-line workhorse of the military during all of America’s wars and peacetime operations, as well as being heavily utilized for civilian roles. Its versatility is legendary. During its long operational life, the C-130 has been fitted with four different propeller systems, including Curtis Electric propellers, three-bladed Aeroproducts propellers, the four-bladed Hamilton Standard 54H60 and the six-bladed Dowty R391 propeller, all of them excellent and having their unique strengths, weaknesses and purpose. We’ll take a quick look at two of the most prominent systems, the Hamilton Standard 54H60 and the Dowty R391. 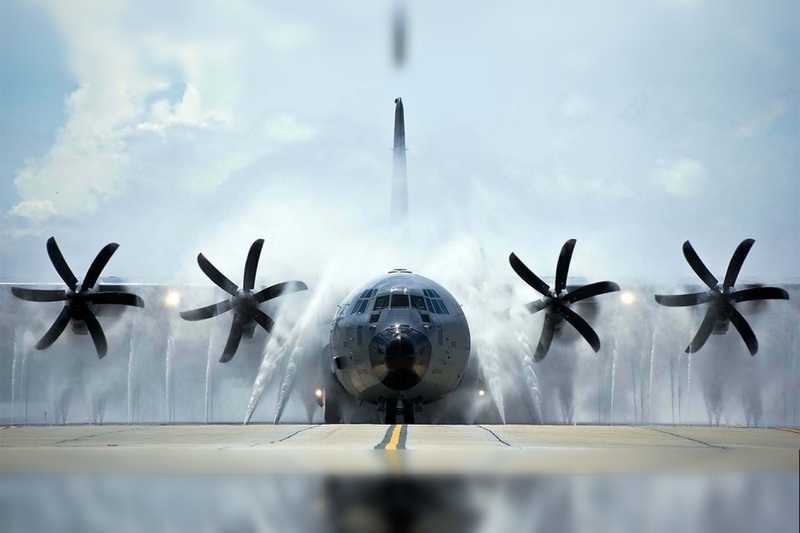 The Dowty R391 propeller system has been used on all the newest version C-130J Super Hercules aircraft. It utilizes a six-bladed, swept-back design with ARA-D/A airfoils, with individual blades constructed of glass and carbon fiber with an inner core of polyurethane foam. A single lever manages the electronic prop control system, which is also integrated with the engine controls, providing simplified operation. This, along with other design features, makes the system very lightweight while delivering good takeoff and climb performance, as well as low levels of noise. Maintenance on the R391 has also been simplified as much as possible by its modular design and hub construction, a minimum of parts and the lack of complicated and fragile mechanical linkages to the cockpit. Besides providing power for the C-130J Super Hercules, which is serving in the armed forces of several countries around the world, the Dowty R391 propeller system is also used on the Alenia Aeronautica C-27J Spartan tactical transport and on the ShinMaywa US-1A Kai amphibious aircraft, owned and operated by the Japanese Self-Defense Forces. Powered by Rolls-Royce AE 2100D3 engines on the C-130J, it has consistently delivered safe and dependable service since the mid 1990’s. 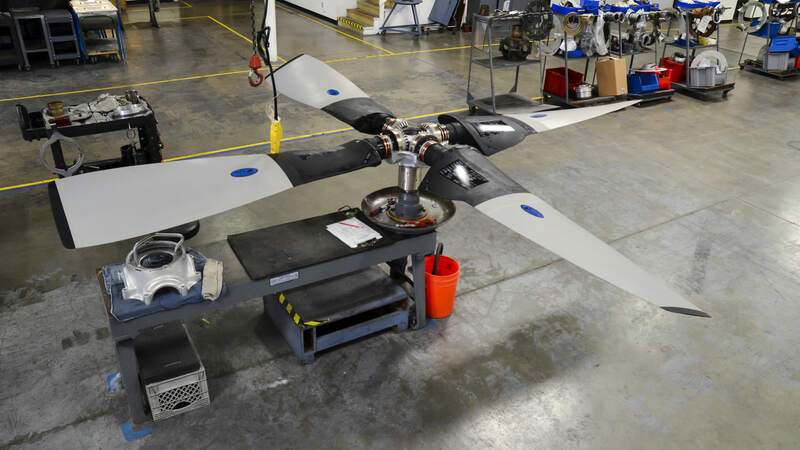 This system uses four propeller blades and is used on many of the legacy models in the C-130 fleet, as well as on the civilian and commercial version, the L-100. It is a constant speed, hydraulically-operated, full-feathering system, providing excellent control and performance in a variety of flight configurations. Other features include a pitch lock regulator that prevents a sudden decrease in the angle of the blades in the event of a system malfunction, such as the loss of the hydraulic pressure necessary for controlling the propellers, or in the event of an over-speed condition of 103.5%, as well as a low-pitch prop assembly that prevents the propeller blades’ pitch from decreasing below a preselected angle when in the flight range. The HS 54H60 uses a blade heater for de-icing, and also utilizes a contact de-icing ring to ensure that there is no buildup of ice on the tips of the blades; this can be critical for maximum performance. The Hamilton Standard 54H60 also has a long history of reliable service. The 54H60 propeller system have been in service for decades while the Dowty R391 has been in service since 1996. Both will remain a staple of the C-130 fleet for many years to come. Why Has The C-130 Been Called The Energizer Bunny of Aircraft? C&S Propeller Adds Fillet Cut & Cold Roll and Other Specialized Repairs.